Fracture mechanics: K1C, KC, crack growth and Paris law parameters are presented, with the corresponding graph of crack growth. Monotonic properties are included in conjunction with estimates of missing parameters based on monotonic properties when applicable. As just one part of the Extended Range, our fracture mechanics data allows vital additional information to be viewed by the engineering world and when combined with the Total Materia database provides the ultimate advanced property tool. Suppose that you want to view fracture mechanics data for 1045 (USA / SAE). 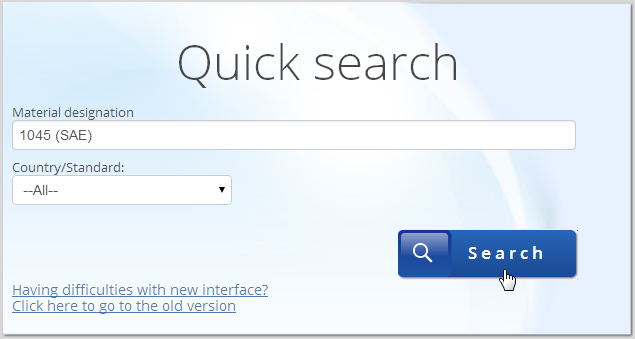 All you have to do then is to simply click "search" button. 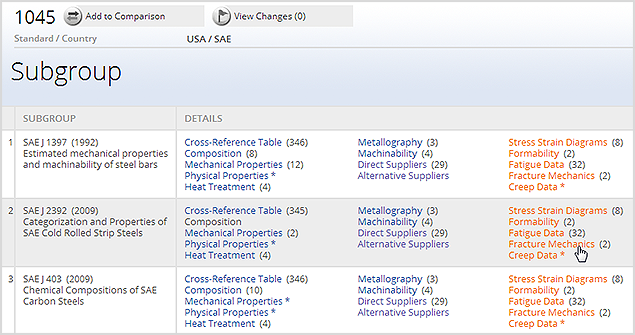 In a few seconds the Total Materia search engine will find all materials, which have 1045 (USA / SAE) in their designation. To view fracture mechanics data, click on the link in the subgroup of your choice. 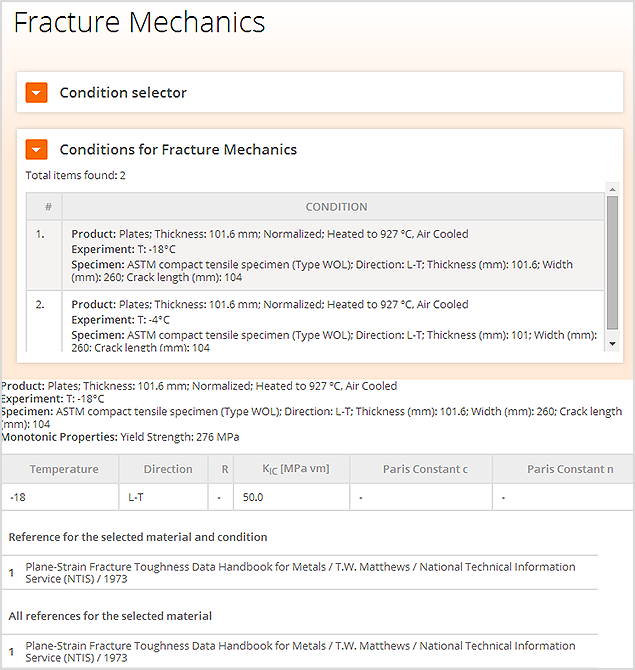 Total Materia will display a range of fracture mechanics data for the material and give you the option to select from a range of conditions by clicking on the drop down menu. Monotonic properties can be viewed along with K1C, KC, crack growth and Paris law parameters. Total Materia uses algorithms to predict fracture mechanics data for any missing values based on its monotonic properties.